“Tokaji Ferenc Gimnázium Szakközépiskola és Kollégium” from Tokaj, Hungary. Some years later, in 2004 “Zespół Szkół Ponadgimnazjalnych” from Cieszyn, Poland joined the project and became the fourth partner school. This year as invited guests some students of “Gymnázium a základná škola Sándora Máraiho s vyučovacím jazykom maďarským” from Kosice are also participants of the project. In the frame of the project week 20-20 participating students from the above mentioned secondary schools travel to the venue of the event where they work on environmental topics. The partner schools take turns at organising the project week, be the host of it and provide the venue. The topic of the week is different every year and it is determined to fit the profile of the host school and a current environmental challenge. 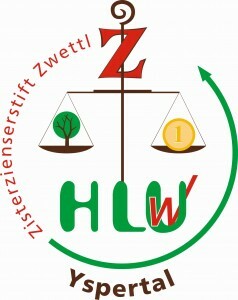 Without giving a full list we can mention some topics from the previous years: in Tokaj issues concerning water and being a World Heritage Site elaborated, in Yspertal the forests and soil protection, in Veselí nad Luznicí the protection of moor lands, in Cieszyn environmental load caused by industrialisation. The official language of the project week is English. The students work in international teams where all the participating nations are involved. A team consists of 12-14 members and they work on a given environmental issue which is connected to the scheme of the project week. In the evenings folk dancing, cultural and sport events make the programme more enjoyable and memorable. On Thursday afternoon the teams give a summary of the whole week’s scientific work by sharing their experiences and findings in their presentations. After these presentations the representatives of every nation have a cultural performance to give an insight into their traditions and share them with each other and the participating schools’ headteachers and their towns’ mayors invited for this magnificent event.